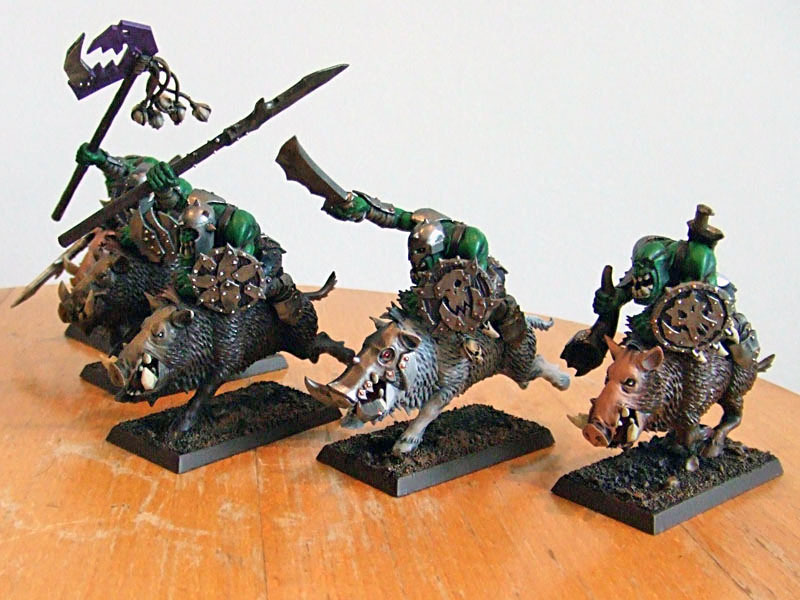 The Boar Boyz are complete! I had a lot of fun painting these guys. I based the white boar on the God Boars from the Ghibli film Princess Mononoke. I love that they came out so well... I just wish I could take a photo that really showed this! I've had a lot of compliments from my boyfriend and his mates, too, which has a been a real boost. 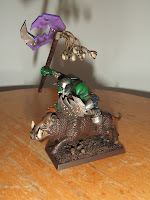 My boyfriend has bought me Gorbad Ironclaw with the proceeds from his Ebay adventure, and he has now been put together. Which leads me to a tip for beginners. 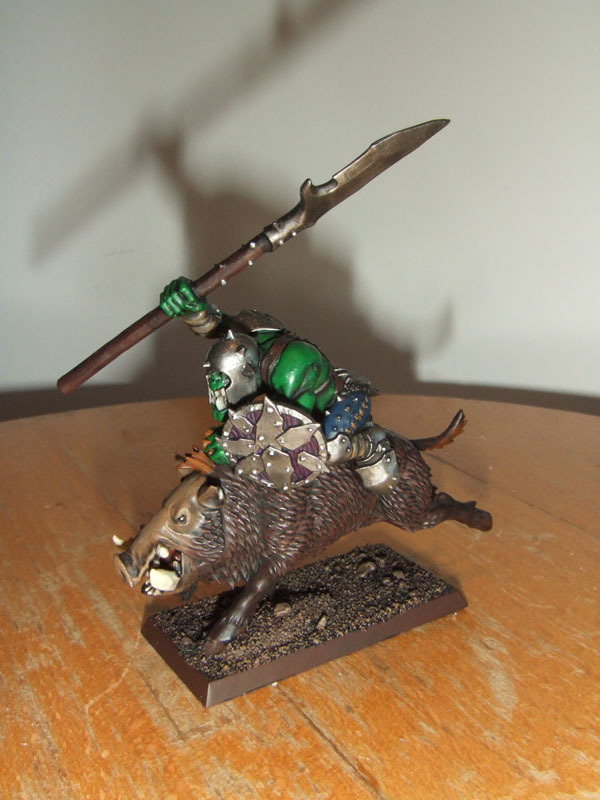 DO NOT BUY METAL CHARACTER MODELS. That is unless you're prepared to take it back into the shop and beg them for mercy (and/or a little help putting it together). Fortunately, my boyfriend is pretty handy at these things, but because of the nature of casting metal, they can need quite a bit of chiselling and the use of something I know as "green stuff" which is a modelling putty used to fill gaps and make the models fit together a bit better in general when they've miscast. 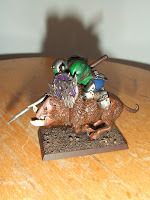 Lovely boars any chance you could tell me what colours you used for the pale/white boar? Lemsip- thank you for stopping by and taking an interest! 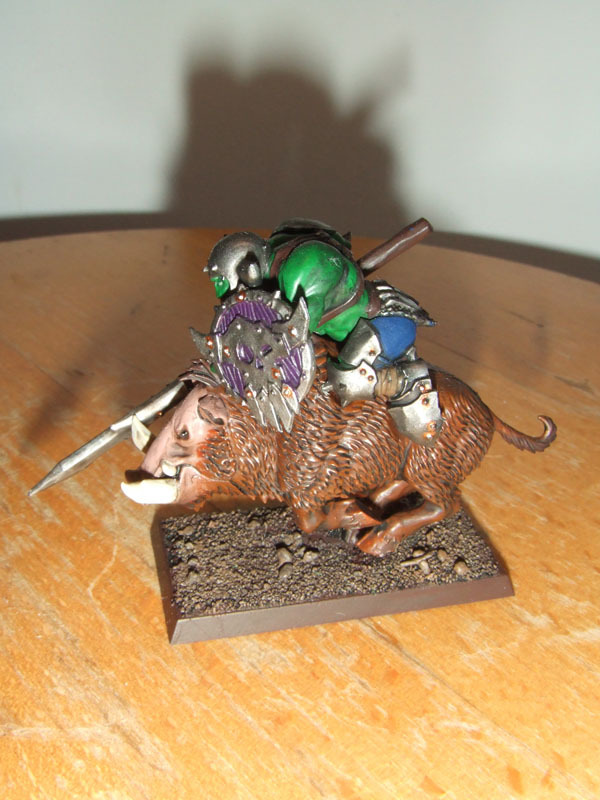 The grey boars were painted in the foundation paint "Dheneb Stone" then washed down with a 2:1 mix of "Asurmen Blue" and "Badab Black" and then I believe I dry brushes him over again with the Stone :) Are you putting together your own O&G army? 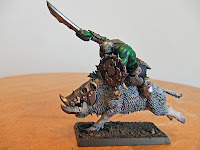 I started a O&G army a couple of months ago but very slow on the painting side I've got a giant mostly done and just finishing of a block of 60 goblins with spears. I was searching for ideas for Boar Boyz since I'm pretty sure I've got some for Christmas and found your blog. I love what you've done with the boars and your Gorbad is amazing and love your colour scheme on the goblins and spiders. 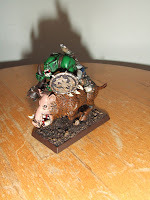 I've added your blog to my favorites and plan to check back for future updates, you've also made me think about doing my own blog as well since I also work in a supermarket seems a nice way to vent about thoses pesky customers. 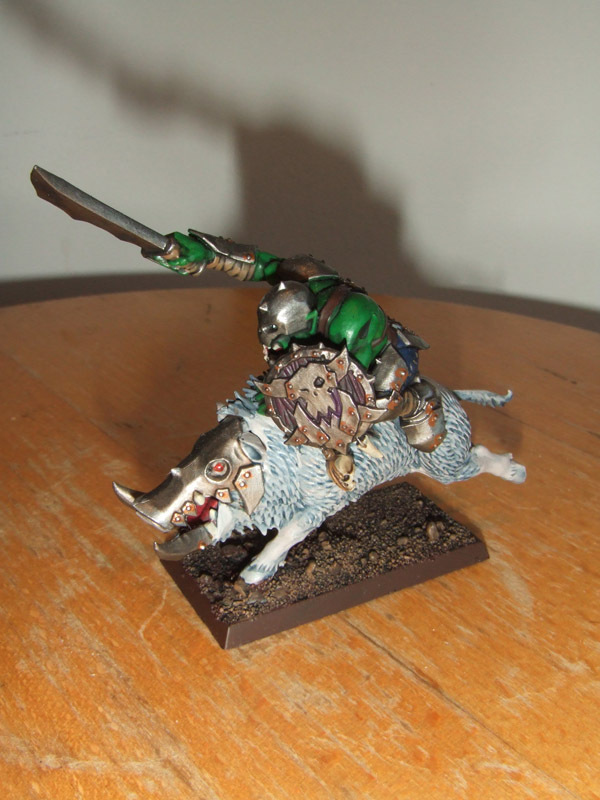 I'm glad you like the spider riders. That's the good thing about doing the painting for fun, I can play around with the schemes a bit!